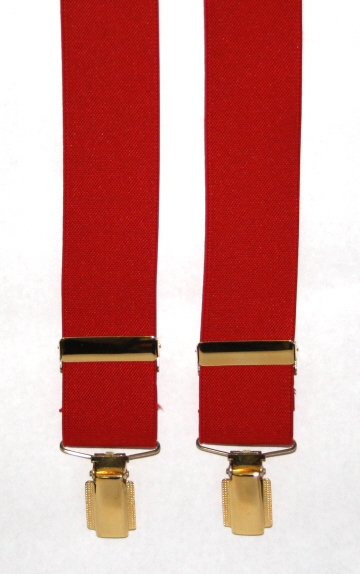 Classic men's red trouser braces made from a strong elastic. Fully adjustable. Our plain trouser braces are nicely boxed too, so great as a gift! Traditional red paisley cravat made from the finest English silk.